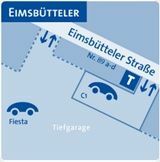 cambio CarSharing Deutschland - cambio. Mobile everywhere. cambio users can use CarSharing vehicles in over 210 cities in Germany and Belgium in most cases with their personal cambio card and at the normal cambio tariffs. Planning to explore the surroundings of Lake Constance by car or drive to your holiday location in Switzerland from Constance? No problem. cambio users have for example access to CarSharing vehicles in southern Baden, over 120 vehicles are available in Freiburg alone and customers can also use cars in Göttingen and Trier. Your business trip starts in Hannover, Frankfurt, Stuttgart, Brussels or Berlin? With more than 5.680 vehicles cambio and its partners offer a dense network of mobility for business travellers. Our partner companies vehicles can be booked as usual on the cambio website or on the phone with our booking service. Simply pick the location you want under Other City in the member section of the website and then select your preferred vehicle. The trips will appear on your monthly cambio bill. cambio wishes you a safe trip. More information about your city.